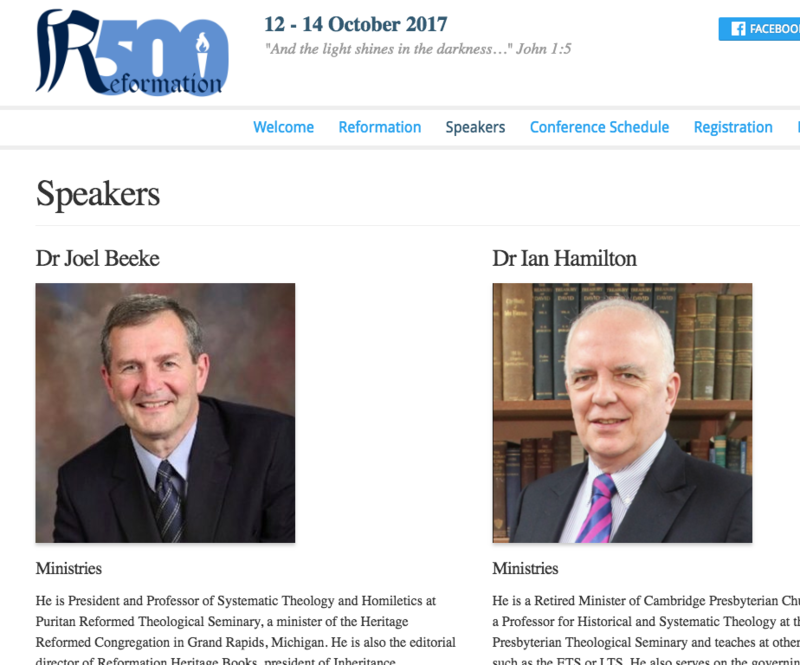 This website has been developed for the promotion of a conference in the North East of England marking the 500th anniversary of the Protestant Reformation. 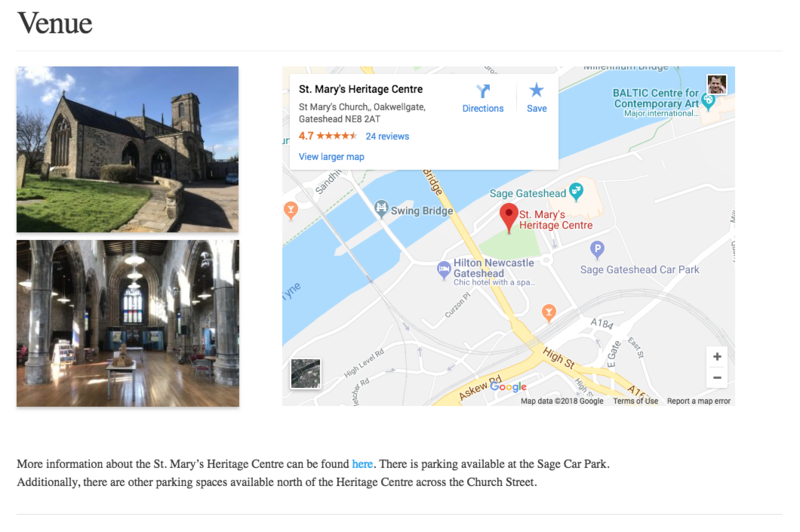 The objectives of the site are to publicise the event, give more information about the schedule and speakers, enable attendees to make a booking via Eventbrite and provide links to media resources. We set up Eventbrite to handle the various booking options of attendees. 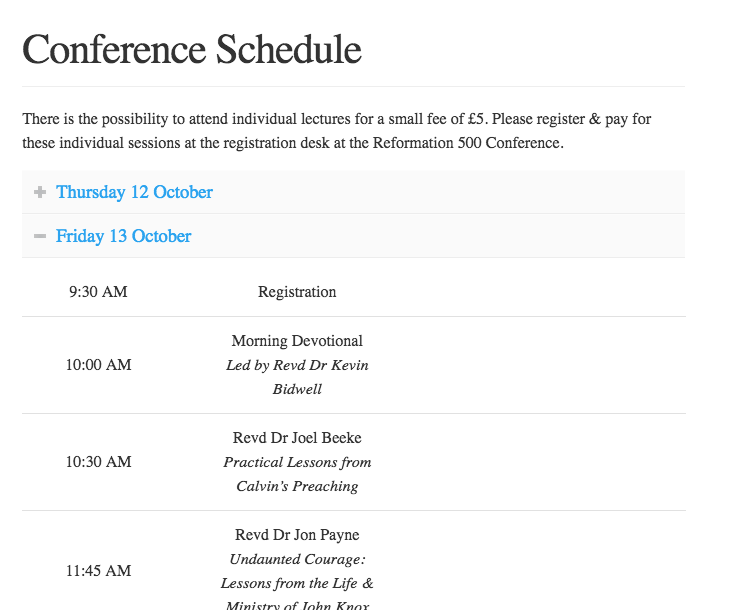 This included embedding a registration form so users didn’t need to leave the conference website in order to book their place at the event. The website is built upon WordPress which enables the client to make quick and easy updates of the content. 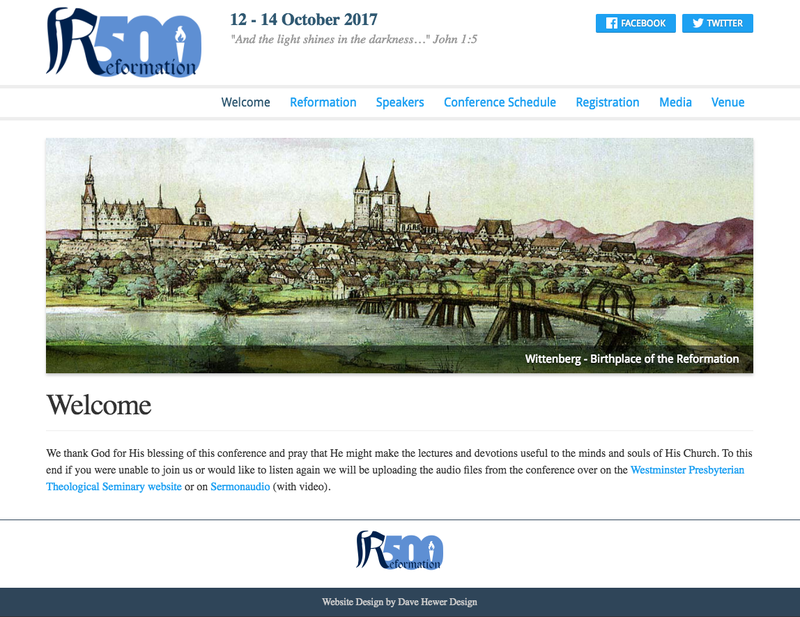 The site is also fully responsive — dynamically updating the visual design depending upon the device being used to view it.